Dezeen promotion: architects, designers and students are invited to submit projects to this year's Tile of Spain Awards, whose previous winners include a courtyard covered in pale yellow bricks. Now in its 16th edition, the Tile of Spain Awards – organised by the Spanish Ceramic Tile Manufacturer's Association – recognises international projects that make the best use of Spanish-made ceramics. A total prize fund of €39,000 (approximately £36,080) will be spread across the three categories, which celebrate architecture, interior design and a final degree project by an architecture student. This year, the winners of the two main prizes – Architecture and Interior Design – will each receive €17,000 (£15,727), while the winner of the Final Degree Project prize will receive €5,000 (£4,625). Architect Iñaki Ábalos, founder of architecture firm Abalos + Sentkiewicz, will lead this year's judging panel, which includes Victor Navarro, founder of Spanish studio Langarita-Navarro Arquitectos; Barcelona designer Martín Azúa; and Portuguese architect Ricardo Bak Gordon. Also featuring on the jury is architect Ángela García de Paredes of Madrid-based studio Paredes Pedrosa Arquitectos – the winner of last year's architecture category. Paredes' studio was commended for its use of ceramics in the transformation of three dilapidated buildings in Spain, where yellow brickwork covers the floors and rundown brick walls to create a light-filled patio between two new residences. Spanish studio Ibon Salaberria won the 2016 interior design prize for a restaurant it designed with white tiles that cover the floor and tables. 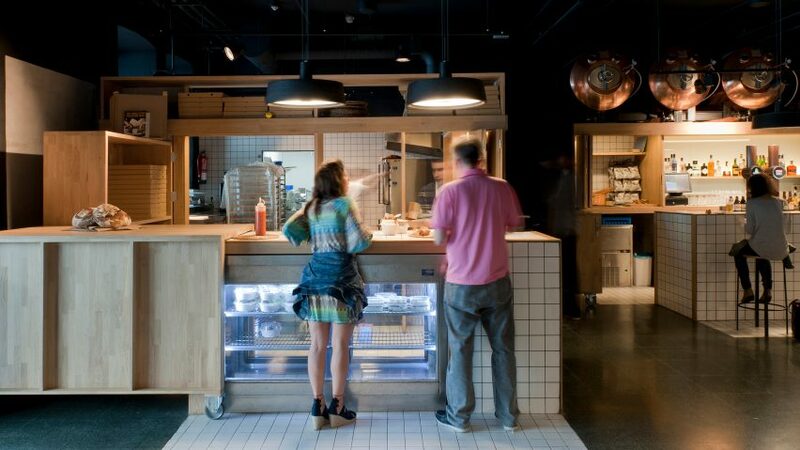 The TABA eatery is located inside Tabakalera – a contemporary cultural centre in San Sebastián, northern Spain. Last year's student prize was awarded to M Wesam Al Asali, a graduate of the University of Cambridge. Asali was commended for his project titled In-Situ – a small pavilion of three vaulted structures made entirely from brick. Entry to this year's awards is free and submissions are being accepted until 24 October 2017. Projects entered must have been completed between January 2015 and October 2017. For further information and to download the application forms to enter, visit the Tile of Spain Awards website.